Welcome to ESA's Online Box Office! Choose your seat, pay with a credit card and print off your own tickets. 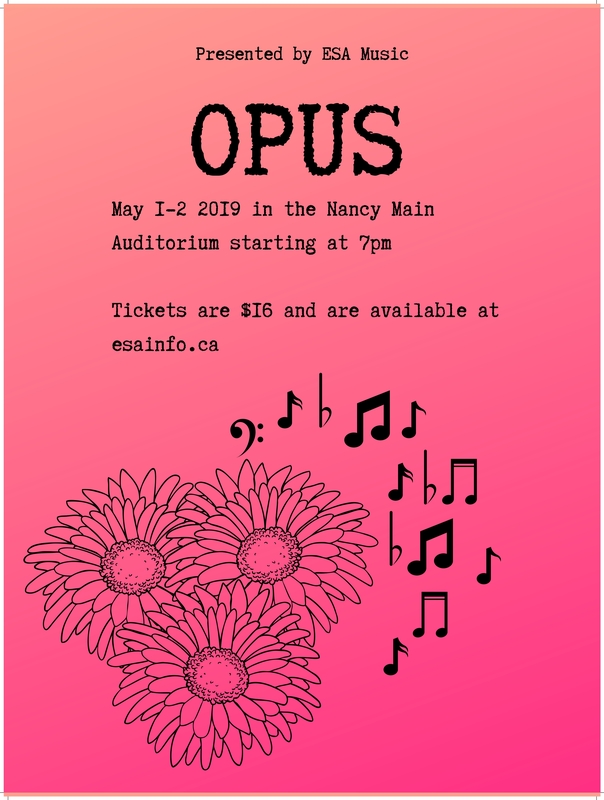 The Music Department is celebrating the end of year with two fabulous shows on May 1st and 2nd. The shows feature Symphony, Concert Band, Concert Strings, Wind Ensemble, Jazz Band, Contemporary Strings and Strad. Camille Labonte winner of this year's Aria Competition will sing on Wednesday night and Alex Berezowsky this year's Concerto Competition winner will perform Thursday. We are also excited to invite back Sistema Toronto for a side by side performance on Wednesday as well. ESA's Music Theatre Department presents its annual showcase featuring class performances and extracurricular ensembles for 2 nights only! 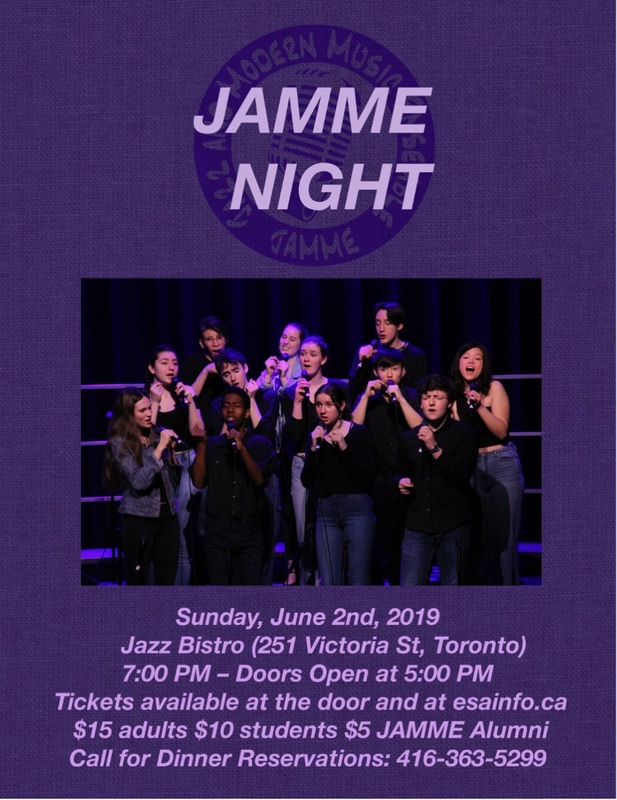 ESA"s Jazz Vocal Ensemble JAMME hosts a night of ensemble and solo performances at Toronto's top jazz venue! Help us refurbish our auditorium and have a lasting presence at ESA! Purchase a seat (or seats!) at the Gold, Silver or Bronze level and dedicate it to the person of your choice. Every seat purchased will receive a tax receipt for the full amount. Please contact the ESA Office at (416) 394-6910 to arrange for the dedication plaque and to receive your tax receipt.. Click here to help us transform our home!